For the first Water Polo Sunday of 2013/14, Dynamo welcomed players from Emory University, Georgia Institute of Technology, and Trout Water Polo. After dividing into three teams we rotated through several hard-fought single-period matches over two hours. The teams who rotated out helped with referee duties, and also participated in several teaching opportunities. Several college players were seen working with seasoned Dynamo veterans to further develop their skills and abilities. The morning proved to be a fun and educational scrimmage experience, and was an example of a event that helps bring the southeast water polo community even closer together. Talk to your team leads. 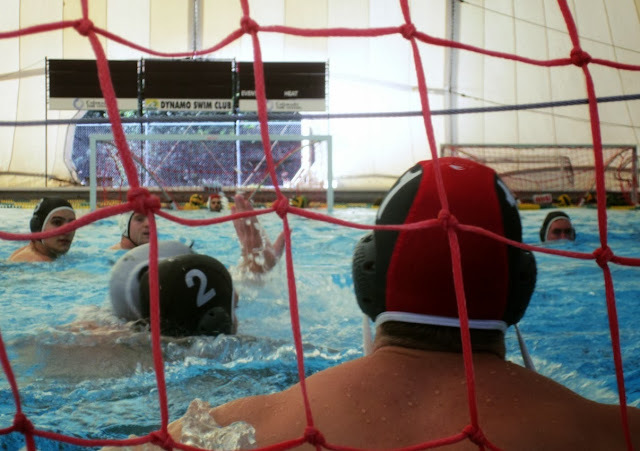 If you’re interested in participating in Dynamo Water Polo Sundays, we’re hosting our next one October 20th. Please contact Neal Laxpati (nlaxpat.archive at gmail dot com) for more information and to register.